Front Line Sage users now have a total solution to process all of their accounts payable liabilities, with ACOM ePayables. 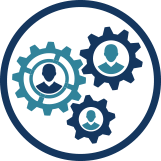 ePayables transforms the immense and costly effort of paying suppliers into a simple and automated solution – a streamlined process for managing all payments—eliminating 100% of the burden on AP while maximizing visibility and control of your payables cycles. Using a single payment file, ePayables integrated system lets you connect data from Sage to our secure cloud-based platform to pay suppliers in any payment type – ACH, EFT, virtual credit card, and even paper checks for those who haven’t yet adopted ePayments. Connect bank accounts and invoice data from multiple divisions, regional offices and subsidiaries to centrally make payments across all modes. With ePayables companies become paperless with their payment transactions on their very first day of service! 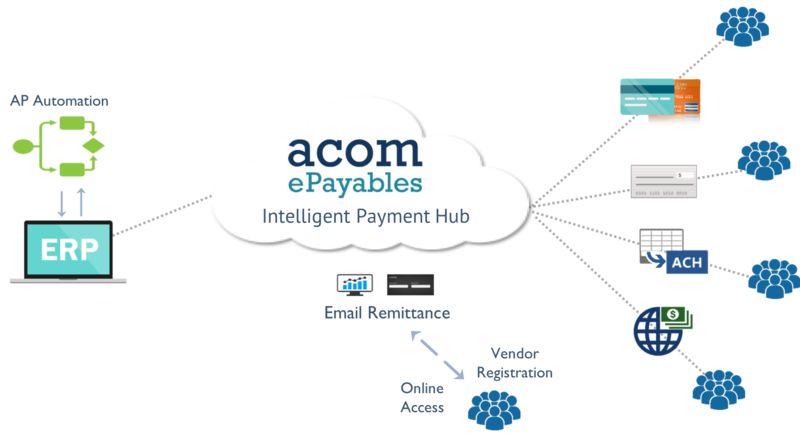 ACOM also provides the most comprehensive services proven to drive continuous electronic payment adoption among suppliers – ensuring maximum participation and continuous support. And we directly manage all payment issues and supplier information as it changes. 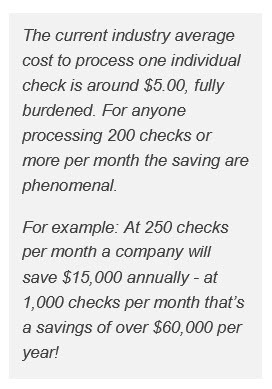 This eliminates 100% of any burden of program enrollment and support for your AP staff. 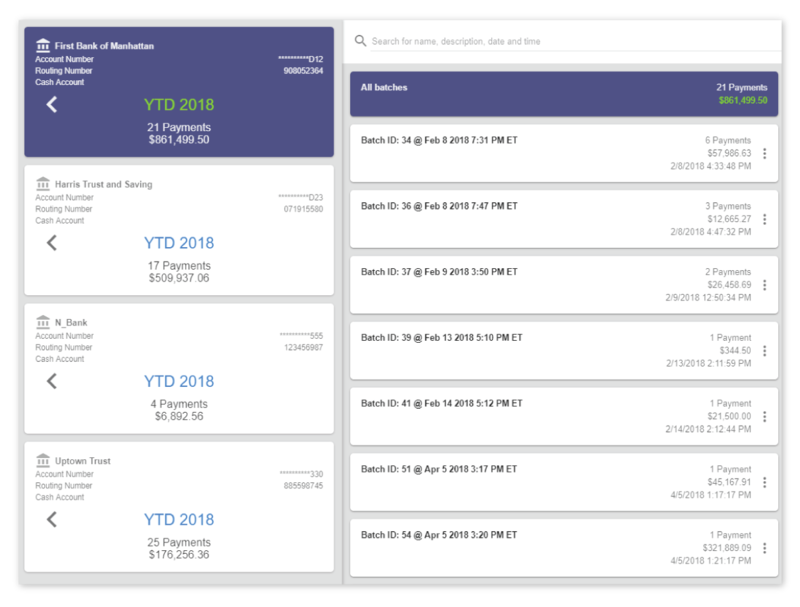 Users can manage, modify, reconcile and control all of their disbursement transactions from ePayables’ secure web-based dashboard. Designed for complete transparency & accountability, ePayables provides an audit ready record of your payables processing – to help meet your compliance requirements. 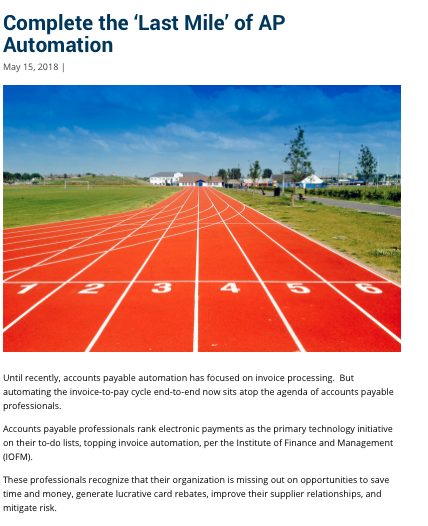 Learn more about automating accounts payable by visiting the ACOM blog. For more information on our Payment automation solutions, contact Front Line Systems at 866-435-0243. We look forward to serving you.